It snowed and is a beautiful winter wonderland (if only we could have had this for Christmas)! 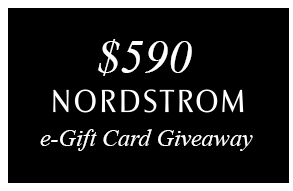 Be sure to enter the $590 Nordstrom giveaway - if you haven't already. Love your pink jacket and this layered look! Such a pretty look, love how you layered!! The pink jacket is a fun piece for the winter. Thanks, Marta. I don't own very much pink - but I thought this was a fun color! What a fun look and your pictures (as usual) are gorgeous! Pink is a great color on you. Thanks for linking up! That pink is great! So is the snow. Thanks, Ginnie! This is the first big snow we have had. 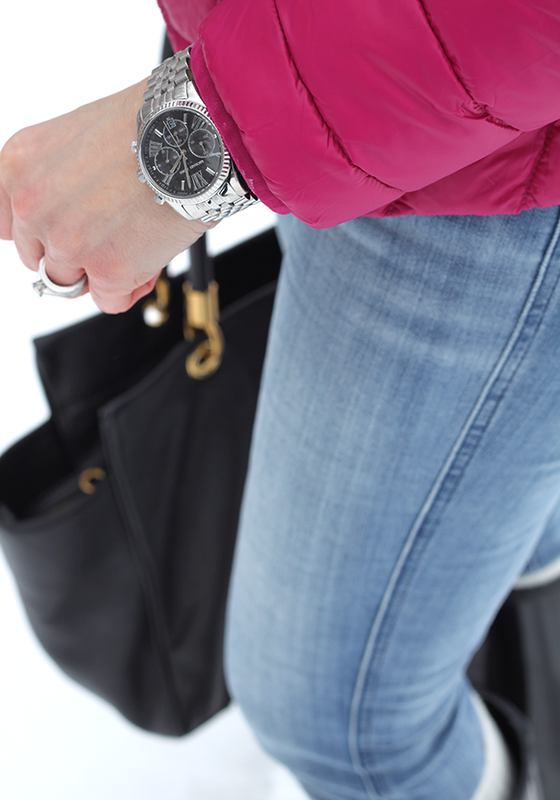 In my post today I am also sharing a pretty bright Winter Coat and Winter Accessories. You look great Lisa. Adorable beanie and I love the versatile B+W Buffalo Shirt (I need one of those). P.S. Join my link-up today, if you like. Thanks babe. I adore your pink jacket! Love the pop of color in your super polished, casual look! 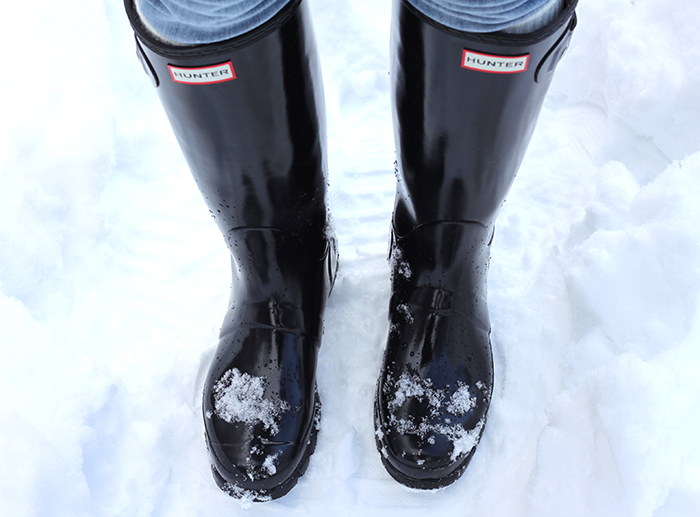 So beautiful in your winter wonderland! Love your bright jacket. Definitely a fun casual look!